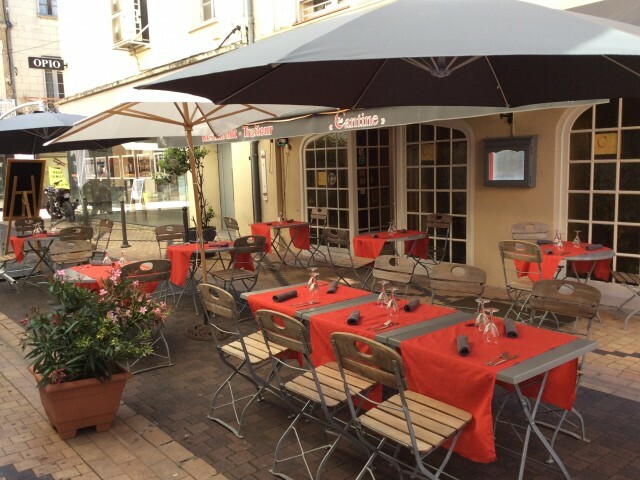 The Intermezzo Restaurant facelift and becomes "CANTEEN"
Its Chef Eric, having created in 2001 Caterer 'Palais des Saveurs "finds its roots with this restaurant. It will concoct small dishes, homemade cuisine unpretentious but tasty. Consider asking your loyalty card formula noon, this card entitles you to discounts on the formula noon. The team of "La Cantine" awaits you, very soon.